Our galleries are closed today for installation. Please check the calendar below for further information about our upcoming exhibits. The book becomes art at MarinMOCA’s 10th Annual Altered Book Exhibit and Fundraiser. Marin’s most unique art show features over 180 original book art objects, created by artists who combine compelling messages with creative technique. Fans and art collectors will see an innovative display of Altered Books. 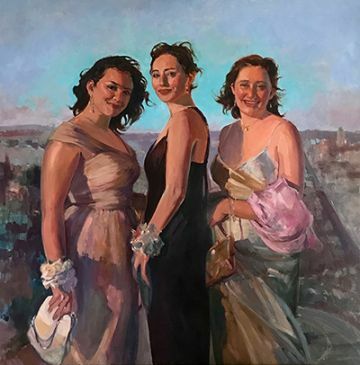 Mary Austin, Founder of the San Francisco Center for the Book, and Donna Seager, of Seager Gray Gallery in Mill Valley will jury this year’s exhibition for 1st, 2nd, 3rd, honorable mentions, and a new award honoring event founder and artist, Eleanor Murray. The Eleanor Murray award is a $200 cash prize and will be made to the artist submitting a work which is beautifully-executed and demonstrates a unique and exceptional artistic vision. The artworks are eagerly sought by book art aficionados, who return year after year to see the show. We invite the public to view and bid on their favorite works during the silent auction from April 27 – June 1. The Closing Party and Live Auction will be held on June 1, 5-8 pm, when all the book art objects will be auctioned to the highest bidder. MarinMOCA is extremely grateful for the artists who are donating their work. This event is MarinMOCA’s biggest fundraiser of the year and all proceeds from the auction support our exhibitions and programming. This year MarinMOCA is pleased to announce that we have again received a $15,000 challenge grant from the Donald O. and Ronald R. Collins Fund of the Marin Community Foundation. The challenge grant will match winning bids dollar for dollar up to $15,000, effectively doubling each winning bid! 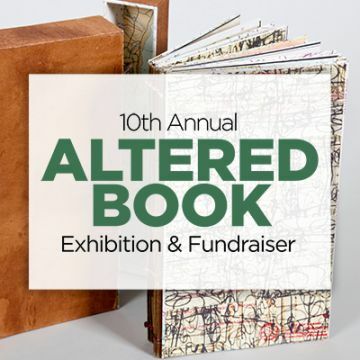 We are so excited to continue celebrating the Bay Area’s vibrant book arts community with our Tenth Altered Book Show. MarinMOCA presents “Body Language,” new work by award-winning Artist Member Kathleen Lack. “The human figure is my inspiration,” says Lack. “Painting life is an energizing and spontaneous event for me.” Through her portraits and figurative work she renders body language in an informal, relaxed way, capturing the human spirit. Viewers will delight in Lack’s stunning and colorful paintings. The exhibit is on view April 27 - June 1 with an Opening Reception on April 27, 5pm - 7pm. Special Event: “The Art of Dance” on Friday, May 10, 5:30-7:30pm. Kathy Lack’s portraits of ballet dancers will be paired with a live performance by Marin Ballet dancers in the upstairs gallery at MarinMOCA. The event starts with an art talk with Kathleen Lack at 5:30pm, and the performance starts at 6pm. The exhibit and event are free to the public. Art can provide so much more than just a pretty face. Artists manipulate their medium to create consequential work that tells stories and captures the attention of viewers. Artwork infused with meaning and content will challenge and engage visitors. With this exhibit MarinMOCA seeks to create awareness and dialogue around the relevant issues of our time. This exhibit will be juried by well-known San Francisco gallerist Jack Fisher, who has been exhibiting artists for over 15 years. According to Mr. Fischer, "The work I exhibit is from the heart and the gut.” Jack Fischer Gallery shows work from a diverse group of artists working in many genres including contemporary, visionary, self-taught, and intuitive. As the gallery’s program has expanded, the emphasis has evolved from a strictly overarching interest in narrative work to include both abstraction and conceptual work. The Gallery has two locations in San Francisco, allowing space for more exhibitions, new artists, and the continued cultivation of artists who have been with the gallery for many years. MarinMOCA’s mission includes helping our artist members develop their full potential through professional development and exhibition opportunities. To that end we invite our over 160 artist members to exhibit artwork in the museum’s Main Gallery and Ron Collins Gallery. This exhibit is always a diverse and inspiring show. 2019 marks the 15th anniversary of Viola Frey’s passing, so it’s the perfect time to mount an exhibition honoring her stature in the Bay Area art community and beyond. She is best known for her monumental sculptures, but "Viola Frey: Her Self" will present viewers with a more intimate, down-to-earth point of view. The exhibit will focus on Frey’s self-portraits in multiple mediums, from drawings to oil paintings to ceramics, and includes work that spans over four decades of her career. The artwork on display has personal significance to the artist, and even when life-sized (Ms. Frey was less than 5 feet tall), visitors will be able to look her in the eye. The solo exhibition at MarinMOCA has been curated in conjunction with the Artists’ Legacy Foundation in Oakland, CA, and will be enhanced by loans from private collections. The public is invited to the Art Talk on Saturday, March 2, 4:00pm. Join Artists’ Legacy Foundation Co-Directors Cynthia de Bos and Julia Schwartz as they discuss Frey’s early artistic beginnings, influences in her practice, and bodies of work that inform Viola Frey: Her Self. The Opening Reception follows from 5:00 - 7:00pm. An exhibition catalog featuring an essay by Frey scholar Anita Ellis will be available for purchase. Docent Tours: Wednesdays at 11:00am and Saturdays at 2:00pm, beginning on March 6. Admission: $10 for adults, $8 for seniors 70+ and students 13-25. Free for members and children under 13. Over the course of her five-decade career, Viola Frey created boldly-colored figurative sculptures, paintings and works on paper that reflect on contemporary culture, power, and gender dynamics. While most closely aligned with the Bay Area Funk movement, Frey’s immense creative output delves into many aesthetic directions. She used a distinctive, personal iconography and palette to depict human figures arrayed among objects of antiquity, flea market collectibles, and interior landscapes. Frey was born in 1933 in Lodi, California. In 1951, she moved to Oakland and attended the California College of Arts and Crafts (CCAC) and completed her BFA in 1955. She pursued an MFA in Painting at Tulane University, and studied under George Rickey, Katherine Choy, and visiting artist Mark Rothko. Frey taught at CCAC from 1964 to 1999. During her tenure, she served as the Ceramics Department chair and continuously championed the ceramic medium as an art form. Among her many accomplishments, Frey was the recipient of two National Endowment for the Arts fellowships, a Masters of the Medium for Ceramics from the James Renwick Alliance, and an honorary Doctorate from CCAC. Image: Viola Frey, Double Self, 1978, ceramic and glazes, 64 x 20 x 18 1/2 inches (162.56 x 50.8 x 46.99 cm), ALF no. VF-0291CSS. 2019 © Artists’ Legacy Foundation / Licensed by ARS, New York. Photograph by Michael Tropea. MarinMOCA presents “Terrain,” an exhibition of paintings in the Second Floor Gallery by MarinMOCA artist member, Janet Bogardus. 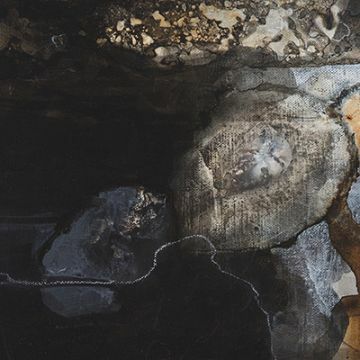 Janet’s work invites the viewer to contemplate the earth’s surface from above. At once landscapes and maps, these paintings do not portray specific locales. Instead they examine the way we look at our environment - and consider our tendency to impose order and human aesthetics on nature. The paintings also celebrate the joys of mapmaking and landscape art, but also hint at their limits. Using collage fragments, flowing washes and sweeping brush marks, Bogardus’ paintings suggest the uncontrollable flow of nature. This exhibit is free to the public. A work of art has the power to evoke a memory or story which is different for each viewer depending on their background and life experience. 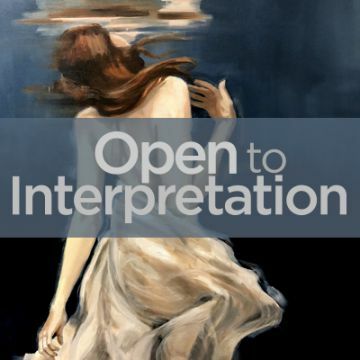 In “Open to Interpretation,” the artists of MarinMOCA have created works with layers of meaning, intent on starting a dialog between artist and viewer. With over 75 exhibiting artists, the show gives visitors the opportunity to study works that span many genres from figurative to visionary, from conceptual to landscape.